The 2018 funding picture for farm energy development programs came into sharper focus after the appropriations committees of both houses of Congress passed fiscal year 2018 agricultural appropriations bills. However, it’s not at all clear what happens from here. Rural Energy for America Program (REAP): The Senate bill protects REAP from cuts in mandatory Farm Bill funding and even adds a small amount in discretionary funding. This comes as a relief given the Trump budget would cut all mandatory funding, plus rescind all carryover funds – which would have been the worst cuts in the history of the program. 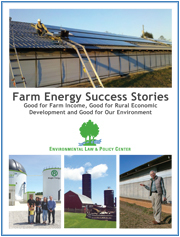 Historically, the Senate leads in protecting Farm energy programs, including REAP. The House Agriculture Appropriations Subcommittee cut REAP from $50 million in mandatory funding to $9 million. Unfortunately, during the full Appropriations Committee consideration of the bill, Subcommittee Chairman Aderholt sought to cut REAP even further, to a mere $1 (one) million, in a manager’s amendment. This cut would essentially kill the program. However, an error in the amendment the committee passed may spare REAP the second round of cuts. We will continue to monitor the House if this bill moves to the floor after the summer recess. Biomass Crop Assistance Program (BCAP): Appropriations Committees in both chambers capped BCAP, from an original $25 million in mandatory funding to zero. Biorefinery Assistance Program: Under the 2014 Farm Bill this program did not have any mandatory funding for FY 2018. The Farm Bill, however, provided for funds to carry over from previous years to support the program. There were $178 million in carryover funds in the program’s account. The House Appropriations Committee rescinded all but $31 million while the Senate committee left $139 million in the account. The next steps in the appropriations process are not clear. Under the regular order of business the bills would go to the full House and Senate and then a Conference Committee would work out differences. At this point the House may be bundling packages of appropriations bills for consideration; the Senate process is moving more slowly. Some observers expect that FY 18 appropriations will be covered by an omnibus bill (or bills) just as we had for FY 2017 and FY 2016 before that. 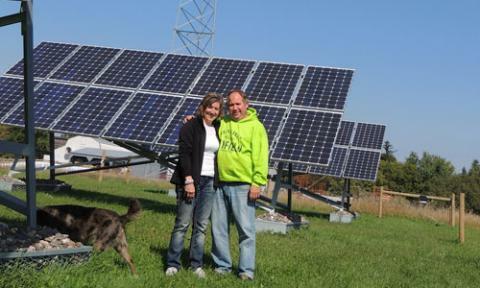 May 5, 2014 – Today the USDA announced funding for the Rural Energy for America Program (REAP). REAP provides grants and loan guarantees to farmer, ranchers and rural small businesses for a wide range of energy efficiency and renewable energy technologies. You can download the Notice of Funding Availability here.